Bear Valley is finishing out the 2018/2019 season with picture perfect conditions and some of our best special events of the season! On Friday April 19th you can SKI FOR FREE! Lift tickets are complimentary for everyone – come on up and enjoy a day on the slopes! Fantastic conditions and a great way to celebrate the epic season coming to a close. Don’t forget, your chance to get the best prices of the year on season passes ends April 30th. Click here to buy now. On Saturday, April 13th join us for our annual Pond Skimming Wine & Brew Fest, with all proceeds benefiting Sierra Hope. 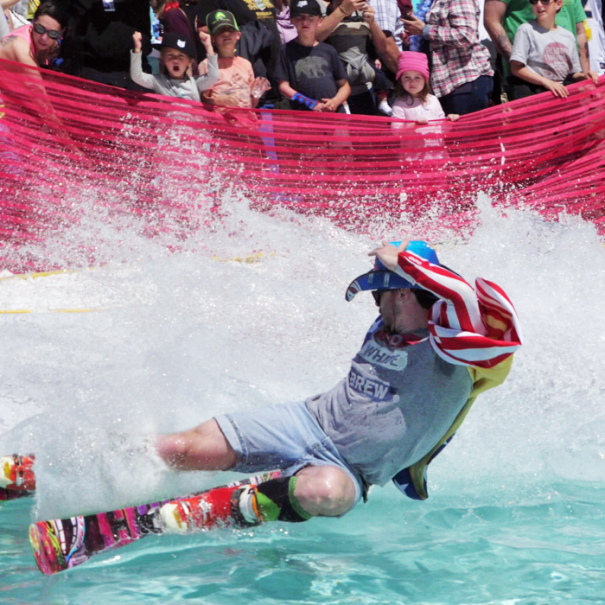 The day includes action-packed pond skimming, exciting for both participants and spectators alike. The event has a retro theme this year, and we will be featuring live music all afternoon on the Sundeck with Roem Baur so, be sure to dress up and bring your dancing shoes! Burton will also be here on Saturday demo’ing their latest W20 snowboard gear. BV LIVE PRESENTS: Roem Baur Please join us on Saturday, April 13th, for a special performance from Roem Baur! 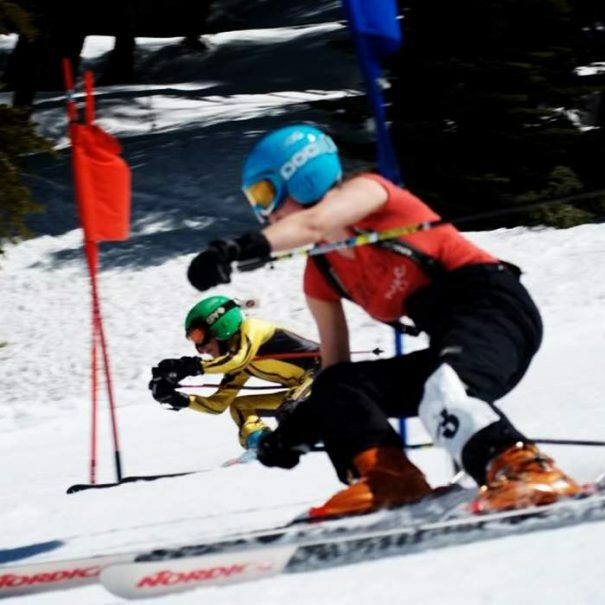 A race for the entire Bear Valley Ski Community! The Slush Cup is a dual course elimination event on the 14th of April. It is open to alpine skiers, telemark skiers and snowboarders. This annual event is a fundraiser for our local Bear Valley SnowSports Foundation. The 6th Annual Nickolay Dodov Slopestyle Competition is happening at Bear Valley on the 20th of April. It will be a day full of friends, fun, and good vibes! The Nickolay Dodov Foundation is a local foundation that promotes snow sports safety and awareness through fun educational programs and events in the light of Nickolay. Check out the entire calendar!